Someone said a lay person can be elected Pope. Is this true? Also, what is the meaning of the word “Conclave” ? Theoretically speaking, any baptized Catholic male who is up to the age of reason can be chosen as Pope. “Male” because a woman cannot become Pope since they cannot be ordained priests. If the person is a lay person, so he would be ordained deacon, priest then bishop. After this he will be installed as Pope. Even though the Code of Canon Law says any baptized Catholic male can be Pope, in practice things are a little different. 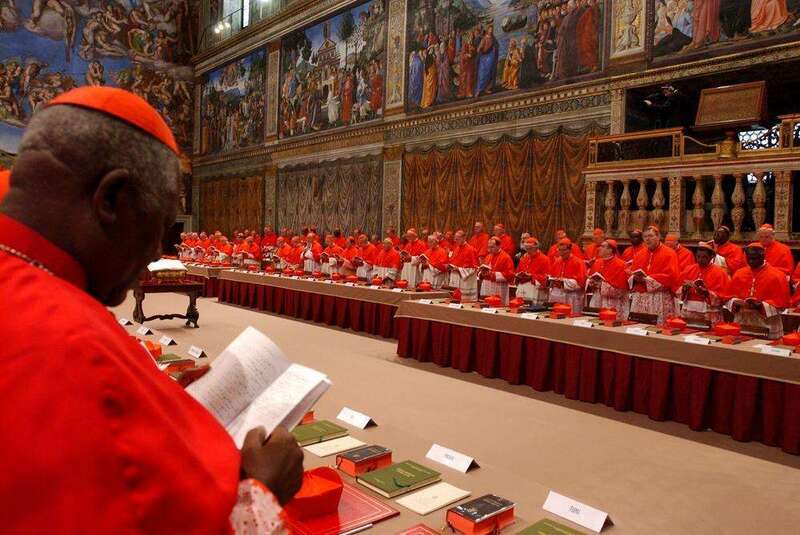 It is unlikely that the Conclave will elect a non-cardinal to the Papal office. The last time a non-cardinal was elected Pope was in 1379, Pope Urban VI. What this means is that even though the Canon Law would allow a lay person to be Pope, the Conclave would almost never vote any non-cleric to the office of the Pope. I know i would not vote especially a non-theologian since this would be necessary to teach valid Catholic doctrine and theology. Let us pray. O God, the Pastor and Ruler of all the faithful, look down, in your mercy, upon your servant, N., whom you have appointed to preside over your Church; and grant, we beseech you, that both by word and example, he may edify all those under his charge; so that, with the flock entrusted to him, he may arrive at length unto life everlasting. Through Christ our Lord. R. Amen.